Each page of the calendar has a leader's message, including Chief Minister Shivraj Singh Chouhan, against addiction. The copies of the calendar have been distributed nationally across government departments. Bhopal: The special anti-drug awareness calendar developed by the narcotics wing of the Madhya Pradesh police is in the news for all the wrong reasons. The calendar features Rashtriya Swayamsevak Sangh chief Mohan Bhagwat, Uttar Pradesh Chief Minister Yogi Adityanath, BJP President Amit Shah as well as religious leaders like Awadheshanad Giri and Tarun Sagar Maharaj. The Congress has used to calendar to again level charges that the police department has been "saffronised". 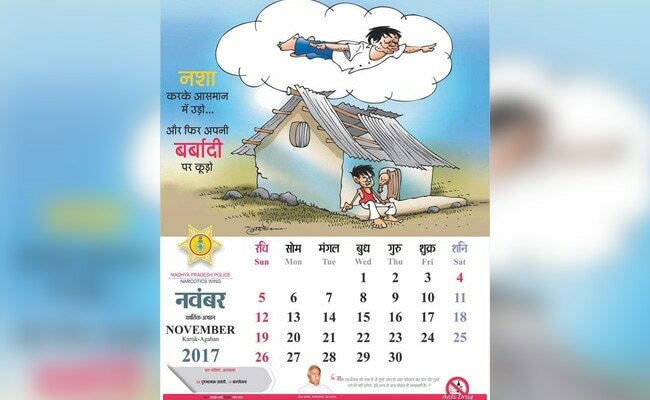 The calendar is the initiative of Varun Kapoor, ADG narcotics wing of the Madhya Pradesh police, who in his Facebook post, while revealing the calendar for the month, writes, "The November page of the special calendar developed for the Narcotics Wing of Madhya Pradesh Police. The concept of addiction leading to individual, family and community disaster is highlighted succinctly. Come forward and spread the message of "DRUG FREE SOCIETY". Its every citizens responsibility and duty! The calendar at the bottom has the picture of RSS chief Mohan Bhagwat which calls for eradication of the drug menace while explaining how it kills from within." 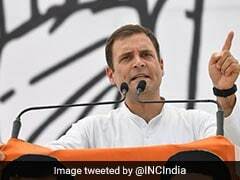 Congress chief spokesperson KK Mishra said, "If the bureaucrats who have taken the oath of protecting the Indian Police Service will be dedicated to the RSS, then who will protect the democracy, these people have just spread hatred... It appears this over enthusiastic officer wants to please his political masters." The copies of the calendar have been distributed nationally across government departments. Each page of the calendar has a leader's message, including Chief Minister Shivraj Singh Chouhan, against addiction. Now, the BJP is defending the move. Party spokesperson Dr Hitesh Bajpai said there is nothing wrong in it. "The people who are there on the calendar represent the people of the country and their aspirations. The Congress is feeling because they cannot tolerate pictures of anyone other than the Gandhis. But that is there problem not ours." NDTV tried contacting Mr Kapoor for a comment but his phone went unanswered.